Star Deep Water Petroleum Limited, a Chevron company and operator of the Agbami Field, in its continuous support for capacity building in the health and engineering sectors as a strategic feed into the national manpower pool, is offering a number of University Scholarship Awards to qualified Nigerian students from ALL states of the Federation. The scholarship program, funded by Star and its Agbami co-venturers, is a major component of their Social Investment in the strategic development of health and education in Nigeria. If you are planning a cruise on a yacht, then, most likely, you have already decided which exotic places you want to visit. However, choosing an appropriate vessel for a cruise is not always easy! Our experts know what to look for when choosing a suitable yacht! 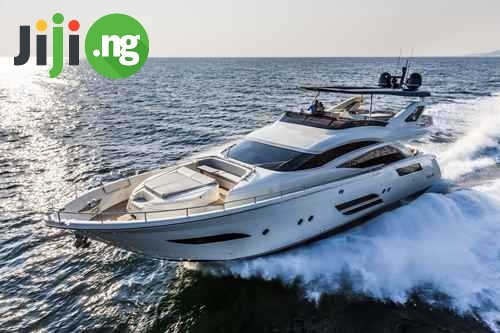 Do you want to buy a luxury yacht at a reasonable price? Visit https://jiji.ng/275-yachts! An excellent choice of modern luxury yachts as a gift for you or for business from real sellers! Jiji is used by all online shoppers who appreciate convenience, large assortment and security: online-marketplace # 1 in Nigeria carefully checks all the newly-registered users and features a user-friendly interface, an efficient search system with filters, direct contact with buyers and sellers and the most reliable fraud protection system! OAU Peeps News Agency Says All The Best! As the Academic Community of the Obafemi Awolowo University, Ile-ife commences Examinations. We hereby use this medium to wish all our esteemed readers sound health and wonderful results when the time comes. Indeed, there is no outstanding success without a reasonable level of preparation. And sometimes, even all the preparation is not enough. It is thus an appreciable fact that the recipe for good success is proper preparation with a touch of the divine. In what is described by many as an unusual kind of Election, Mr Ogunjobi 'Yomi has emerged as President of the Obafemi Awolowo University Chapter of the Nigerian Universities Nursing Students Association. The Elections which had Mr Omolere 'Tobi, a 300L Level Student of the Department and Mr Ogunjobi Abayomi, a 400 Level Student of the Department has aspirants of the post of President ended with both aspirants each having 166 votes. However, the tie was then broken by the Electoral Commission based on the power granted her members to vote in such scenarios. The Commission led by Miss Morolake Ayanlowo eventually voted 5 votes against 3 in favour of Mr Ogunjobi.